For the English pianist soon to tour Australia, Schubert is like wine – he gets better and better with age. Schubert is a composer you’ve returned to throughout your career. How have the challenges and pleasures of this composer changed and evolved for you over time? You have also performed many of Schubert’s song cycles. How has accompanying singers in these pieces shaped your approach to his piano music? I would prefer the word partnering! Not for reasons of ego, just to describe more correctly the role of a good pianist playing with a singer. We are a motor without which he/she would be less then complete in this huge and wonderful world of lieder. What do you think are the greatest challenges facing interpreters tackling early Beethoven and late Beethoven? Early Beethoven is often related to Haydn, in style of writing and in humour. But the challenge is to still make it sound like Beethoven, with the extra weight that would have come from Beethoven having at his disposal more developed keyboard instruments than did Haydn. Late Beethoven is a different matter. Beethoven is looking even further forward to an instrument that didn’t yet exist – he writes for the extremes of his instrument, sometimes sparse material pushing the limits out. He uses long shimmering trills (which must have sounded extraordinary on the pianos of the time – but with the sustaining pedal of the modern concert grand we can do so much!). One could say so much more. But one important point is not to be overawed by these great and iconic late works, but to relate to their emotion and their message without timidity, and invest them with the love with which Beethoven composed them. Although you’re acclaimed for your interpretations of Classical and Romantic repertoire, Thomas Adès is a composer whose work you have consistently played and even premiered. What is the appeal of this composer and of new music generally? It is a privilege to live in the same era as a good contemporary composer and to maybe premiere a work that only the composer and you know by ear! Working with Brett Dean, for instance, has been an extraordinary experience, particularly premiering his Voices of Angels with members of the Berlin Philharmoniker, including Brett himself. His open approach, modesty and flexibility were inspiring, and it was such a thrill to “make” the sounds for and with him. Tom’s music is very complex and highly imaginative – since Bartók I know of few composers who have such a gift for bringing out the whole range, and more, of a concert grand – he is of course a wonderful pianist himself. I co-commissioned Traced Overhead in 1996, a truly brilliant piece, written at a time when his compositional style of notation was notoriously complicated. When I was given the score by his publisher, it happened that Simon Rattle was in the room, as well as his old conducting teacher John Carewe, and they had seen the score ahead of me. Simon said “Do you want a stiff drink, or a very stiff drink? Neither John nor I could possibly conduct at least a couple of pages of this!” It did indeed temporarily shorten my life for some months, but it was an extraordinary journey and I got to love this piece passionately. Darknesse Visible, written a few years before Traced Overhead, is a more straightforward piece, of haunting beauty and atmosphere. It fits so magically alongside Beethoven Sonata Op. 110, as you will see. Do you have a preference between the solo recital, chamber music and a concerto performance? All completely different experiences. The solo recital is the most challenging, I feel, as all the responsibility is yours and you are alone on the platform with a piano and a few extraordinary works (pianists are very lucky repertoire-wise). The satisfaction if all goes well is therefore great. Chamber music happens (at least for me) with friends, and that is a real lovefest, with such emotion when you are all pouring your hearts out so close to each other. But the concerto performance can have this feeling too, if on a less intimate scale, and it can be thrilling. 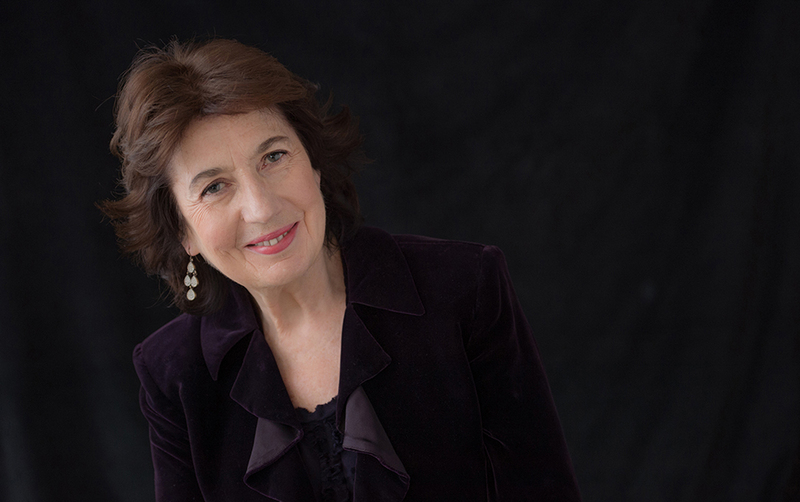 What made you establish the Imogen Cooper Music Trust? A combination of things. Firstly a need, new for me, to pass on what I have learned in the last few decades, through experience and through working many years ago with great artists of the previous generation such as Alfred Brendel. When I worked with him in my early 20s in Vienna, he gave me unlimited time, one to one, and I wanted to do the same for a younger generation. Also important to me was that the work should happen in a place of beauty and quiet, and some Australian friends of mine, Bryan Youl and Pat Ryan, offered me their house in Provence for two periods a year – it was the perfect situation. I do believe that music experienced in silence hits a different spot than that experienced in a noisy city; our discoveries are quicker, our ideas more expansive, and our sounds – as well as those we would like to make! – stay undisturbed in our beings. Or, if the only disturbance is hearing an owl by moonlight, no complaints…! What form does your teaching take and why? I ask the scholarship holders to “come with me” all the way during the week, and I am very demanding of them – they are mostly at a stage when they long to be pushed and extended, that post/ or post-postgraduate stage when they know how to play but need an extra pair of ears, and wings to fly above their own vision to see the bigger picture. But I always say to them, when you leave, you can leave behind whatever you don’t want or is not right for you, I do not mind. The importance is listening, awareness, and what Edwin Fischer called “die grosse Linie”, the long line, which takes you from before the first note until after the last. Your latest album for Chandos saw you take on Liszt and Wagner. Was there a particular reason for exploring these particular composers? Fascination and a sheer love of the music. They were major giants of the 19th century, had a complex relationship, and, particularly in the case of Liszt, have often been misunderstood by posterity. How often do I still hear people say of Liszt, “oh, all those empty notes, it’s all showy stuff…” So wrong. Rather look for the music, and there is much, that is intensely lyrical, expressive, noble, highly imaginative – and that with demonic drive, and yes virtuosity – but find the message behind it! I so hope that my relatively short recorded homage to this great man helps a little. For those who don’t ‘get’ him, I would highly recommend Alan Walker’s three volume biography which is un-put-downable. What a prolific, versatile and humane person he was (not all these characteristics fit Wagner, by the way)! What’s next for you in the studio and do you have any recitals coming up that you are particularly looking forward to? The next recordings are a little down the line, but look to be very exciting – and completely different! Firstly I shall record a disc of related French and Spanish music – Albeniz, Debussy, Ravel, Mompou, Ravel – such a gorgeous programme. The following disc will be primarily of the Beethoven Diabelli Variations, which I adore. What brings you back regularly to Australia and are you ever daunted by the distance? I have always loved coming to Australia. Such warm audiences, such a wonderful country – and I hope to see a little more of it this time, as for once I am taking a few extra days – and… wonderful eating and drinking! The distance does not daunt me if I plan the trip wisely, it is actually easier these days, now that it is possible to lie back and really get some sleep in the plane, which I do. I can’t wait! 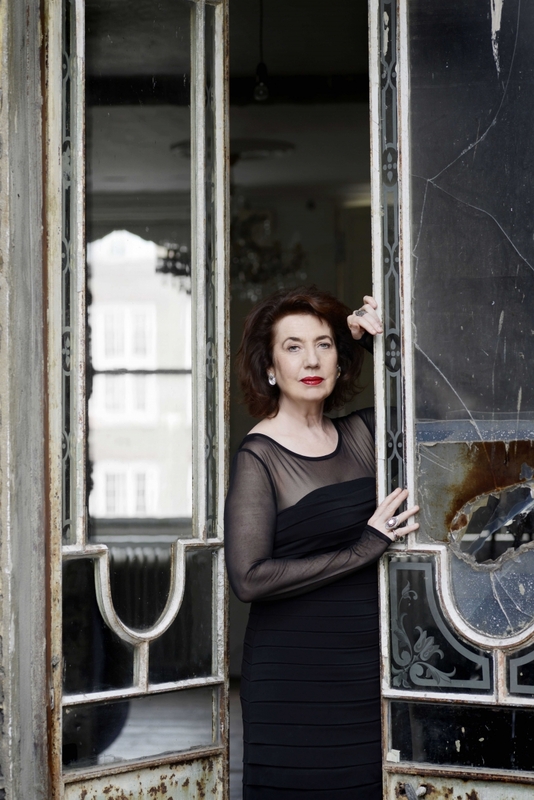 Imogen Cooper performs a solo recital at QPAC August 13, Beethoven’s Second Piano Concerto with the Sydney Symphony Orchestra August 17 – 19, in recital at City Recital Hall, Sydney, August 21, and with students of the Australian National Academy of Music at South Melbourne Town Hall August 26. Clayton helps Liszt’s hurled lances to the future find their target.